Bring The Spine Tingling Theater Experience Home. A Cinema Experience In Your Home. Dreaming about building a home theater in your basement? Maybe your living room? Whatever your dream is, we can sell, design and install a heart pounding home theater that your family will love and the neighbors will envy. Whether you're building your dream home or adding a theater to your current home. We install home theater systems that fit nearly every budget. That's why JB Media is Minnesota's best choice for home theater installation. Home Theaters In All Shapes & Sizes..
We've installed home theaters in basements, bonus rooms, living rooms, even recreation vehicles. From large 120" screens and projectors to the latest in Sony televisions 4K HDR Technology. 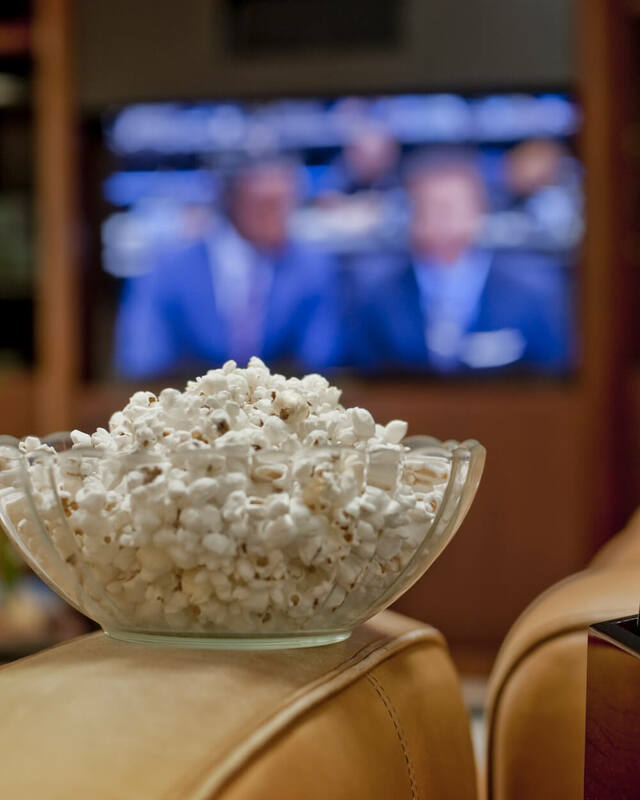 Home theater systems come in many shapes and sizes. What's more, the latest technology is better than ever, cost effective, and easier to use. We have Sony projectors for every budget. From 1080p to 4K.The center speaker reproduces the majority of the dialogue in a movie.The right and left speakers reproduce most of the music and sound effects in a soundtrack. But will also be used for dialogue when the voices move to the left or right of the screen.The right and left speakers reproduce most of the music and sound effects in a soundtrack. But will also be used for dialogue when the voices move to the left or right of the screen.The subwoofer is completely different to the other speakers. The subwoofer is there for one reason alone - bass.The surround left and right speakers mainly reproduce the surround music and effects.The surround right and left speakers mainly reproduce the surround music and effects.In a 7.x home theater the 6th and 7th speaker may be placed in the rear.In a 7.x home theater the 6th and 7th speaker may be placed in the rear. You've seen the moniker "5.1 Surround Sound" whether it was on the back of a dvd, or at the beginning of a movie. Simply put, "5.1" = 5 speakers + 1 subwoofer. 5.1 the standard and the minimum necessary to establish a true home theater experience. Today's home theater systems are so much more than just 5 speakers. Today's systems come in many different configurations. 7.1, 7.2, even the latest Dolby Atmos systems with a whopping 7.2.4 (that's an additional 4 overhead speakers!). Home theater speakers come in all shapes and sizes. In wall, In ceiling, Floor standing, even soundbars. We partner with RBH Sound manufacturer of some of the best speaker in the world to deliver an unrivaled home theater experience for our customers. We'll help you make the right choice based on your room and budget.